Choosing the right rug is crucial. Why? Because more often than not, it's the thing that ties a room together and completes a space. It can help create boundaries in open floorplan rooms, add texture, provide warmth, and inject a dose of color. However, shopping for the perfect rug comes with its own set of challenges. Not only do you have to select a rug that matches your style and design sensibilities, but you also have to choose the right size. While you can easily take measurements and plan ahead, shopping for rugs online doesn't exactly allow you the opportunity to give the piece a try before committing to the purchase. That's why it's important to shop for rugs at the best online retailers. 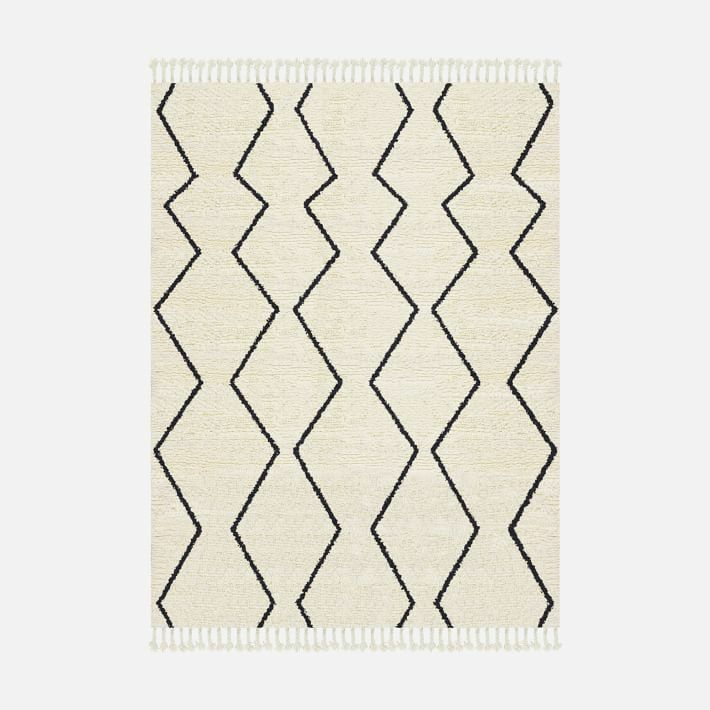 If you're not sure where to start, keep reading for eight of the best places to shop for rugs online (and 16 chic rugs to consider for your space). This unique patterned rug is completely customizable. Select your own color scheme and size in order to get the perfect rug on the first try. 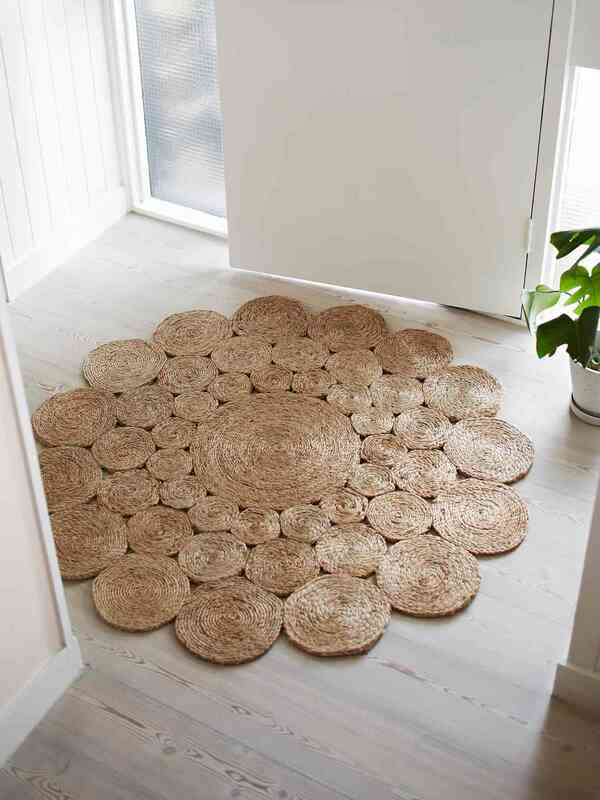 For something a bit more natural, consider this rug that resembles the shape of a flower. It's an entirely unique shape perfect for the front entryway. 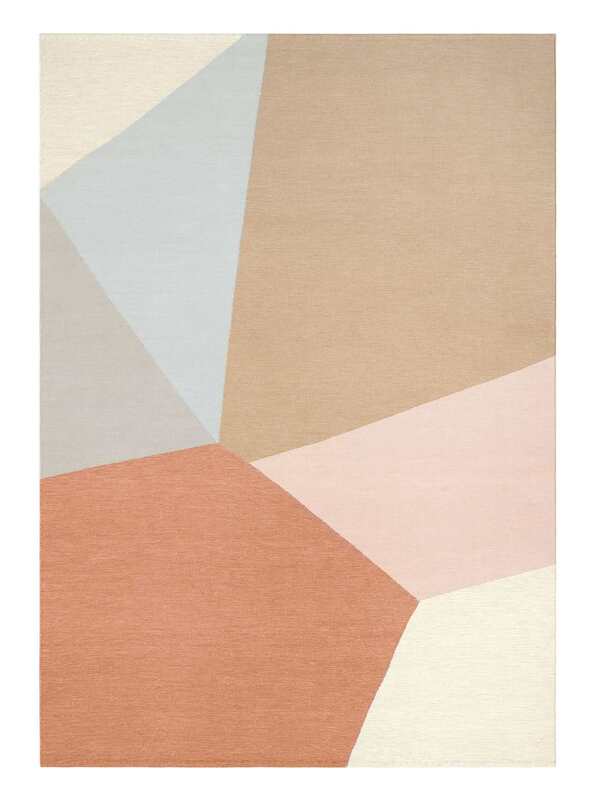 This wool rug is one of West Elm's bestselling rugs. It's handwoven with hand-braided tassels for a relaxed, Moroccan-inspired piece. It would look great in a large size for the living room. 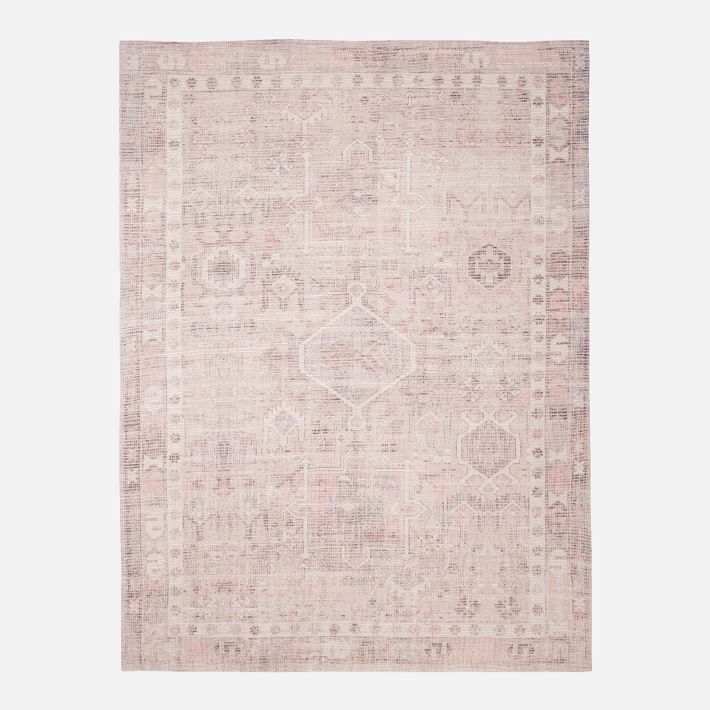 If traditional rugs are more your style, then this faded, patterned rug may be for you. 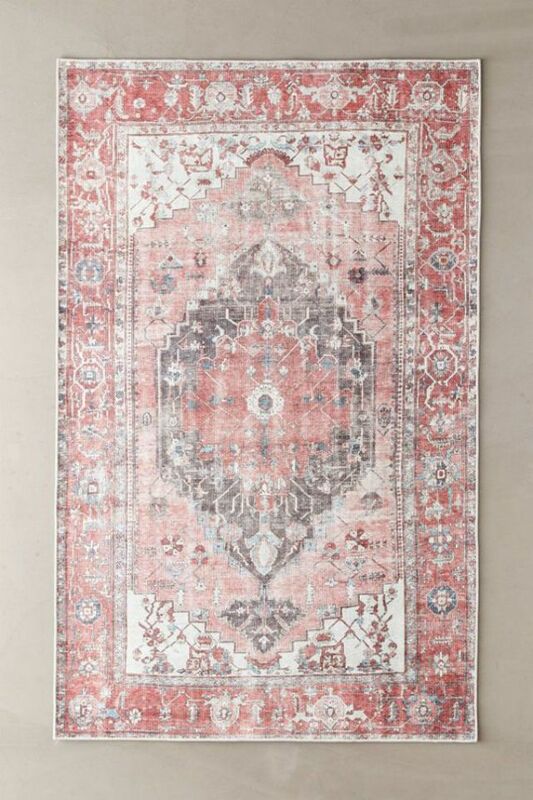 It's hand-loomed in India and features distressed warm shades of pinks and red. Made in India, this handwoven rug displays embellishments inspired by tribal motifs. Their scattered, seemingly random design creates a dynamic element for a one-of-a-kind look. For just about any type of rug, you can turn to One Kings Lane. 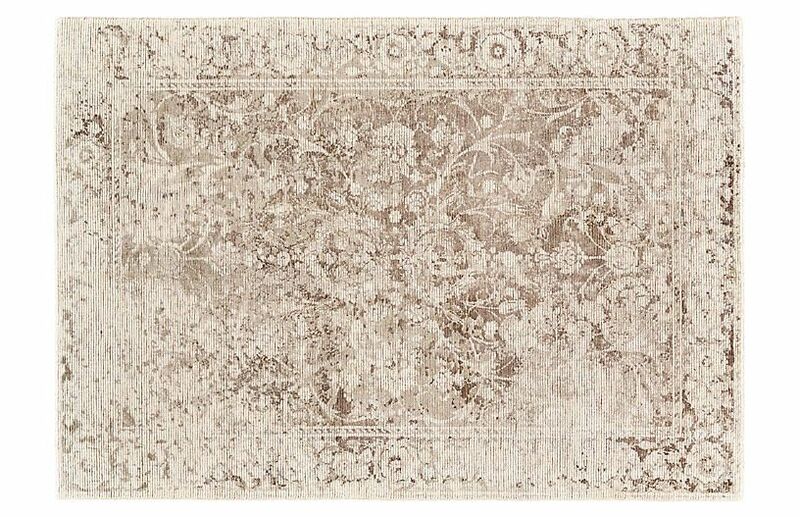 This neutral, beige rug features a traditional, distressed pattern that would complement any space without standing out too much. When it comes to affordable rugs that don't sacrifice on design, you can't go wrong shopping rugs online from IKEA. 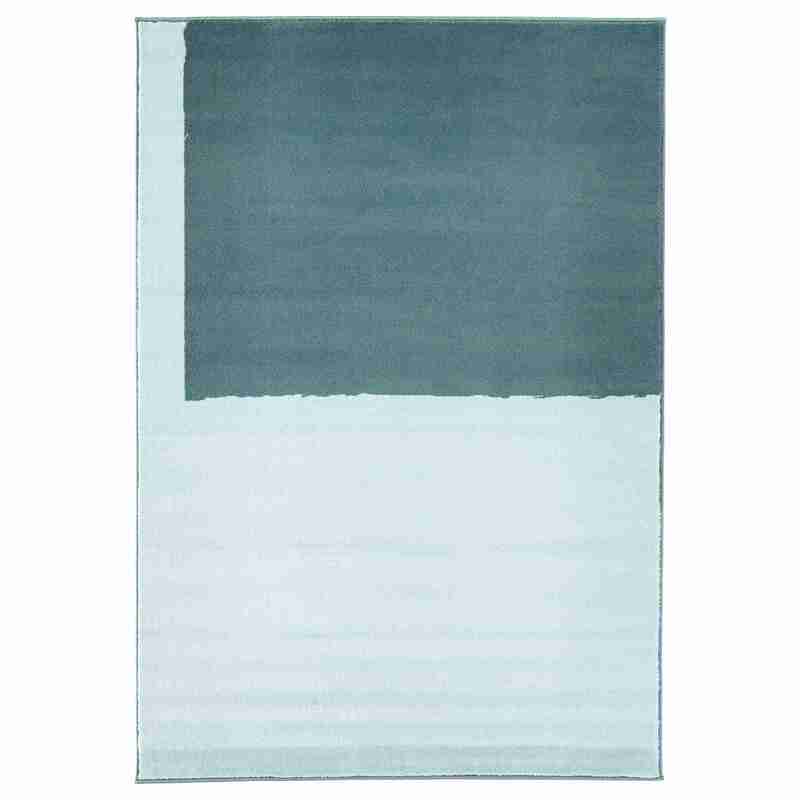 This one is durable, stain-resistant, and comes in lively shades of dark and light blue with a design that's almost reminiscent of a Mark Rothko color block painting. 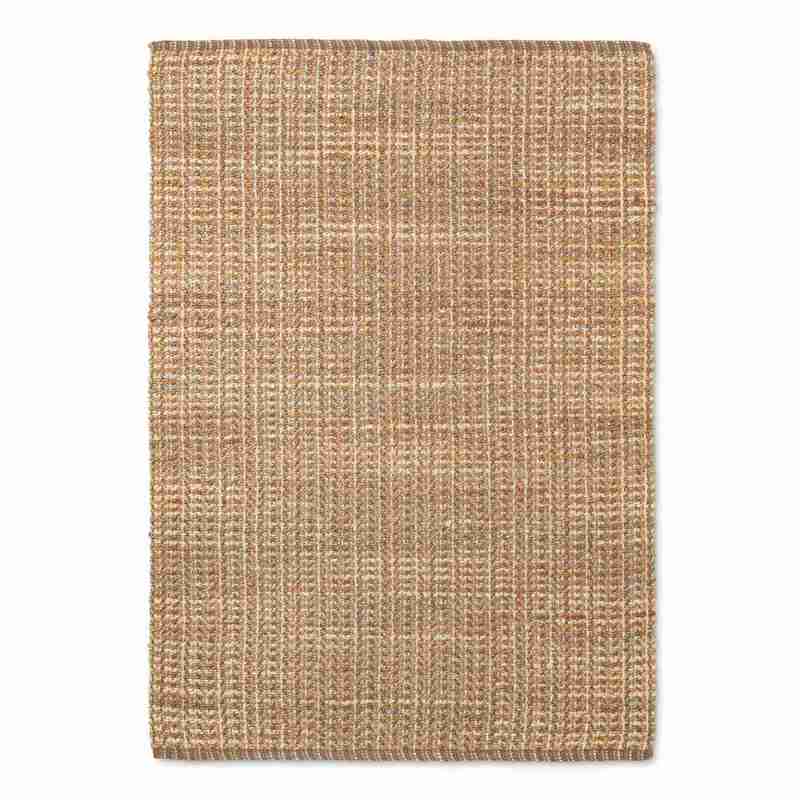 A flat-woven, natural rug like this one is perfect for adding a touch of texture to any space. Use it to play up a rustic décor style or contrast more modern, minimalistic furnishings. Parachute recently launched a line of rugs and they're just as stylish as the rest of the brand's chic home offerings. 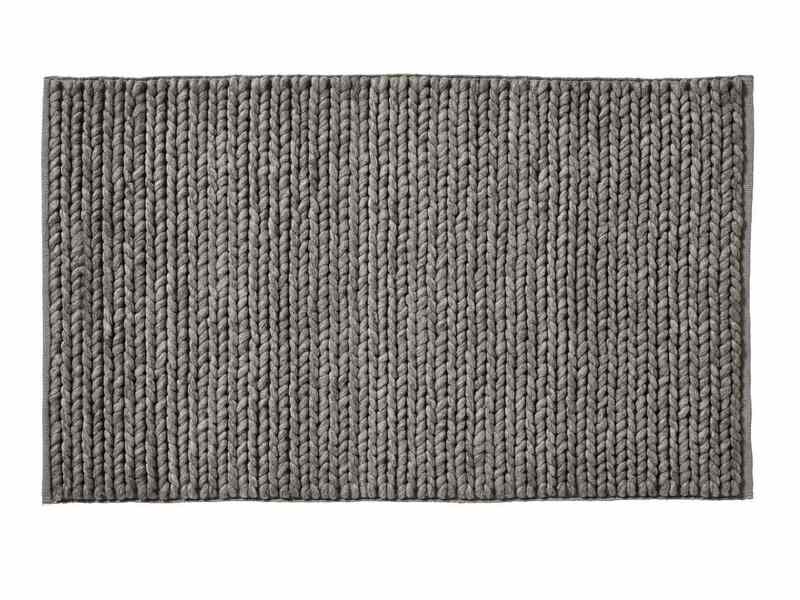 This piece is made of braided wool for a plush, cozy design element that will up the hygge factor of any room. 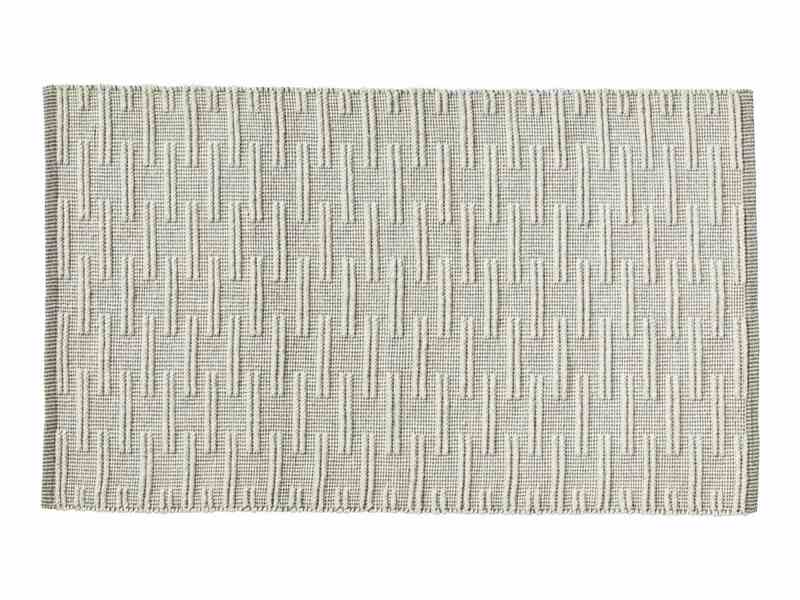 This neutral rug is defined by its subtle texture and shade of off-white. It also features an embellished pattern to add another dimension of design to the piece. A departure from light, neutral rugs, this black and white rug from Urban Outfitters is fit for a moodier space. 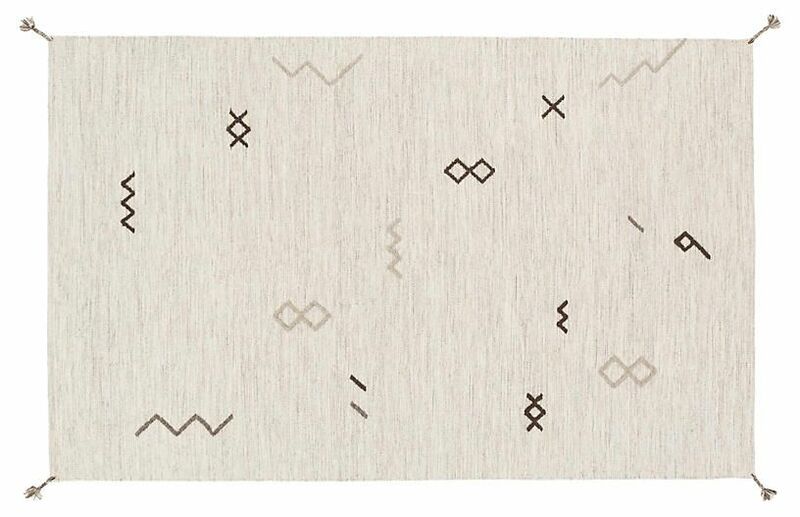 It's a thin, cotton rug perfect for adding just a touch of design without a high price tag. This printed rug is inspired by vintage pieces and provides a nice pop of color that won't overwhelm a room. Place it in the bedroom or living room to finish off your space. 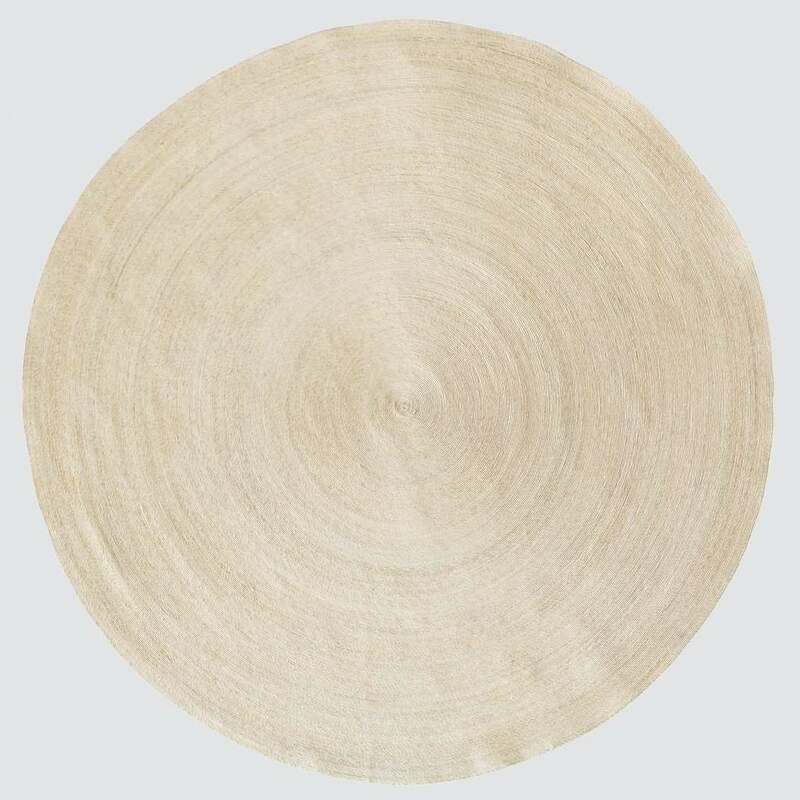 Handwoven in Mexico, this circular natural palm rug would fit right into a relaxed interior. It could work in the front entryway or even in a smaller sitting area. 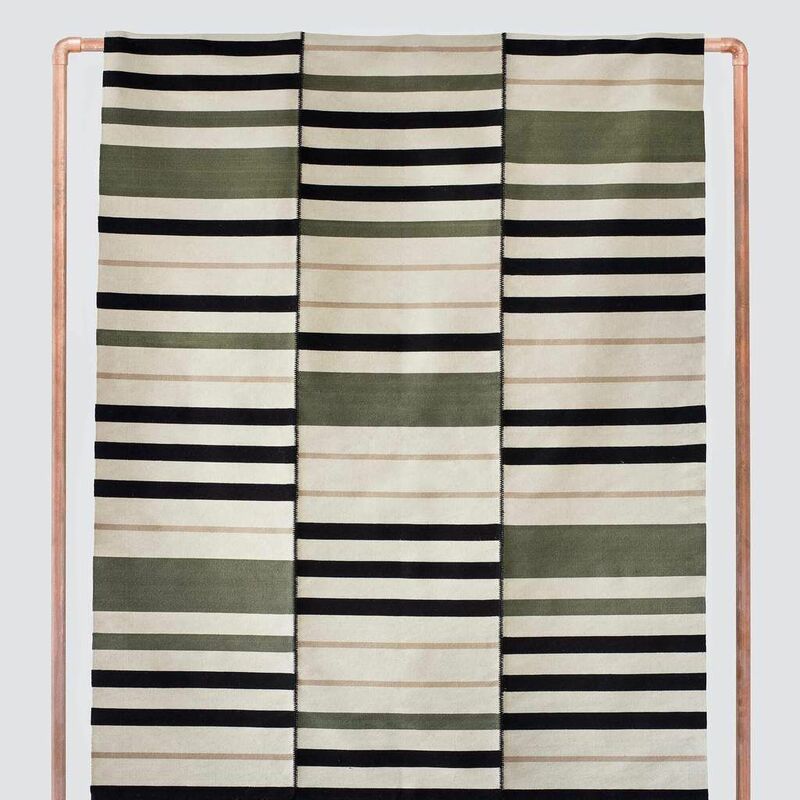 For a bold pattern sure to catch the eye, consider this striped flatweave area rug from The Citizenry. 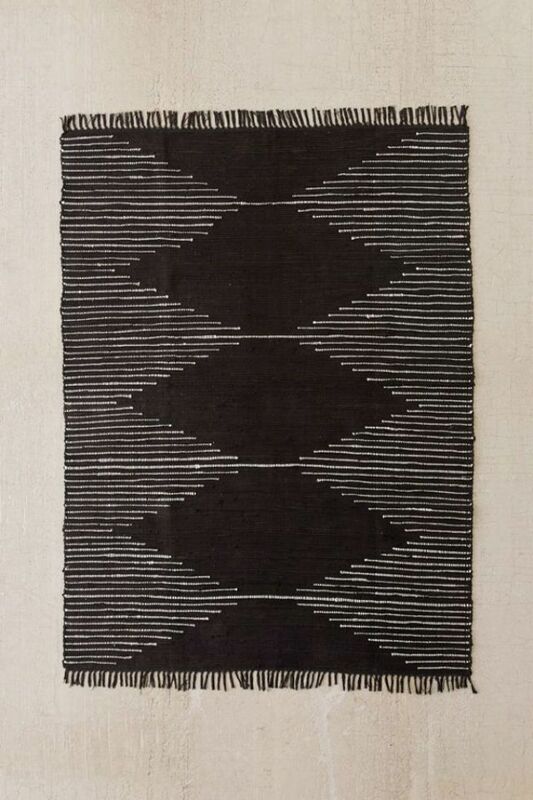 Made in Peru by The Weavers of San Pedro, it features earth tones like olive green, tan, and black. 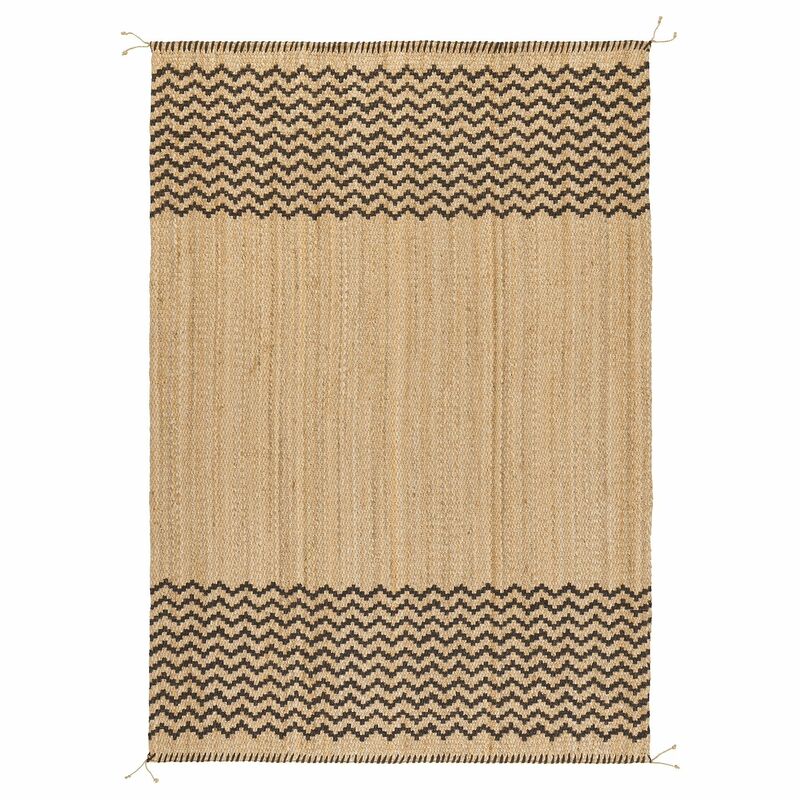 Keep things simple with a natural woven rug that will add a bit of texture to your space. This one is from Target's Threshold brand and is a great affordable find. 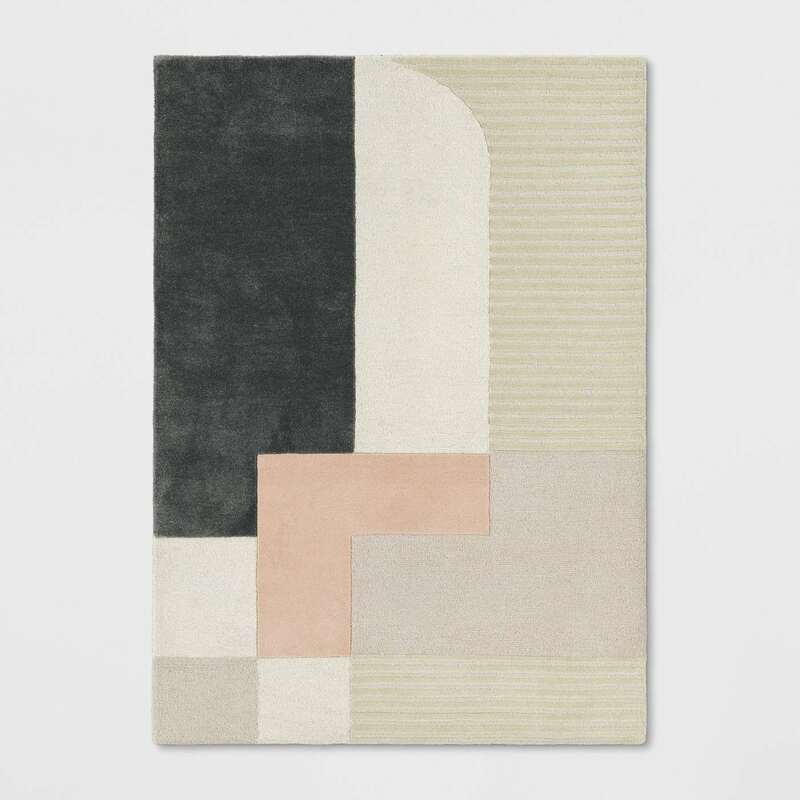 This modern, color block rug is from Target's Project 62 in-house brand and it provides a welcome pop of color and design. Display it in a simple, modern living room or add it to a more eclectic space. Next up: 14 bohemian rugs to make you feel like you're halfway across the world.